With the recent success in athletics and the addition of multiple state-of-the-art facilities on campus, I’m sure you’ve heard that it’s a great time to be a Baylor Bear. 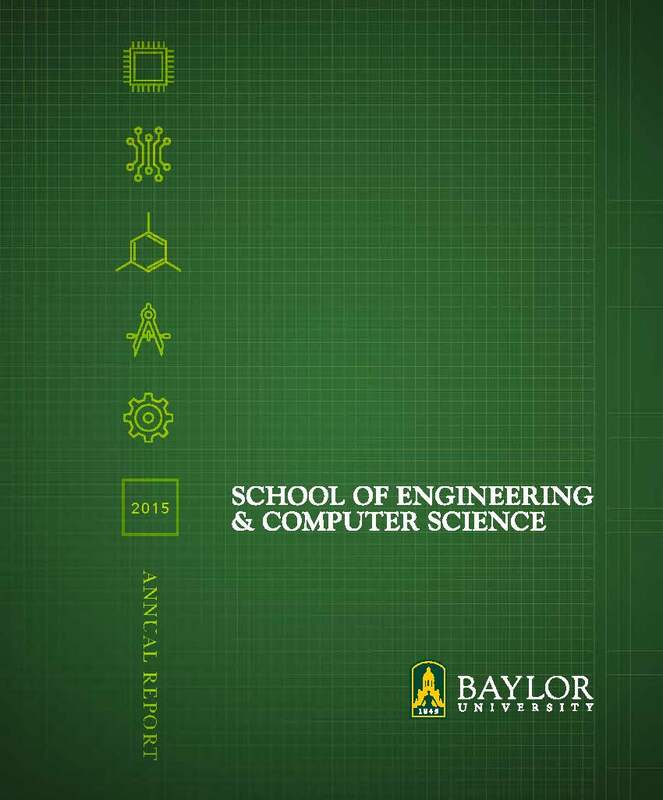 What you might not know is that it’s also a great time to be a Baylor engineering and computer science student. This year marks the School of Engineering & Computer Science’s 20th anniversary. From its meager beginnings in the 70’s as a small program in the College of Arts & Sciences, we have expanded to one of the most sought-after undergraduate majors on campus. With total enrollment approaching 1,200 undergraduate students, our engineering and computer science programs are graduating more engineers and computer scientists per year than the first 10 years combined. Alumni from our engineering and computer science programs fill industry positions at companies that range from Nike to SpaceX. This year, our annual giving was up nearly 60 percent from last year and it has more than doubled over the past five years. Our young alumni are more engaged and eager to give back than ever before. These generous gifts from young alumni provide additional scholarship opportunities that help us recruit some of the best and brightest high school students to ECS. With an average SAT/ACT score of 1298/29, the 400 new freshmen we welcomed in August 2014 will have access to more study abroad, technical design, mission, entrepreneurship, and leadership opportunities through student-led organizations than any class before. We are committed to providing our students with a sound engineering and computer science education and the skills needed to compete in a global marketplace. With the addition of six new faculty members who bring a wide range of research expertise and five new staff members, our programs are ready to meet the rapid growth and standard of academic excellence our corporate partners and recruiters have come to expect from the School. This year, our seniors will be recruited by nearly 150 companies across the United States. Many of our recent graduates had multiple job offers from companies like ExxonMobil, Chevron Phillips Chemical Company, Phillips 66, Google, IBM, L-3, and Lockheed Martin. I hope you enjoy reading our 2014-2015 Annual Report. Inside you’ll discover some of the highlights and contributions of our faculty, students, and alumni that, no doubt, make it a great time to be a Baylor engineer and computer scientist.